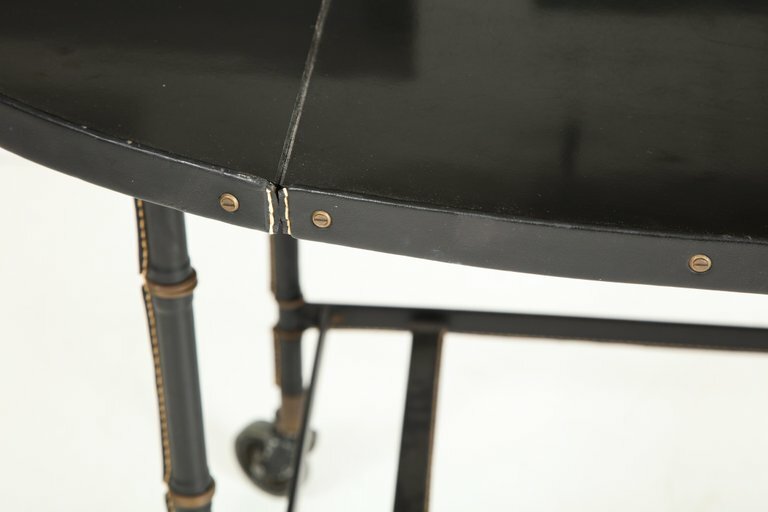 A fine example of Adnet's work with stitched leather covered legs and a black lacquered top. The drop leaf design allows for easy placement and the casters make it a versatile serving table. The indicated measurements are when open. When the leaves are dropped it measures 21.5". H 29 in. x W 45 in. x D 33.75 in.